The technology industry is constantly working to innovate the phones, computers, and other electronic devices that we use daily. The phone systems we use to conduct business today have come a long way from the phones we used just a few years ago. Unified Communications has given business phones many convenient features that provide you with greater mobility, and allow you to be more efficient than ever before. It can be hard to keep up with all of the available features, but here is a list of five things your phone can do to make you more productive. With old phone systems, all you had to notify you of a voicemail was a red blinking light. There was no way of knowing how many messages you had. If you were out of the office, you may have had to call into your voicemail box to retrieve your voicemails. Now, if someone leaves you a voicemail, it can also be delivered to your email. As long as you have access to your email, whether it’s on your smart phone, tablet, or laptop, you can listen to your voicemail anywhere. Find-me, follow-me allows you to receive calls made to your direct line on your cell phone. If you are frequently out visiting customers or job sites, but still need to be connected to your office, this feature will ensure that you never miss a call. Depending on your phone system, this feature can be activated by pressing a button on your phone before you leave the office. Find-me, follow-me helps you save time by eliminating phone tag, and allows you to respond more quickly. Unanswered calls will go back to your direct line’s voicemail. New business phone systems work in conjunction with mobile apps that pair your cell phone to your direct line. When you call someone via the mobile app, you are actually calling through your business phone system. The phone number the person you are calling sees is your extension, DID, or your office’s main number, and not your cell phone number. For someone who makes a lot of phone calls, call manager software will make the task more efficient. You can use your computer to control your desk phone or as a standalone “Soft” phone. One of the best features of Call Manager is the ability to “Hot Dial.” This allows you to highlight a phone number in any document and email, or on any website with your mouse, and then click to call. Call Manager logs every incoming and outgoing call made to your phone, and also gives you the ability to store more phone numbers, easily answer and transfer calls, see which employees are available, and work remotely while still having access to your direct line. Most modern phone systems are equipped with the ability to record a phone call. You will have the ability to pause and resume throughout the call so that sensitive information can be left out of the recording, and encrypt and store recordings. Any phone conversation you record will be sent to your email as a .wav file. Call Record allows you to monitor call quality and evaluate employee performance, record verbal agreements made over the phone, and record good news and positive testimonials to share with your staff. Before you enable Call Record, check local laws to make sure you are in compliance. These five features will allow you to remain connected to your business and your customers no matter where you are, while increasing the productivity of you and your staff. (SAVANNAH,GA) The Chatham Emergency Management Agency will conduct the monthly scheduled test of Chatham County’s Emergency Warning Siren System this week. At noon Wednesday, Chatham County residents will hear a one minute emergency tone from the various sirens located throughout the county. This monthly test is necessary to ensure that the Emergency Warning Siren System is functioning properly. In the event of poor weather conditions such as rain or overcast weather, the siren test will be rescheduled. To learn more about the Chatham County Emergency Warning Siren System, please visit our website at www.ChathamEmergency.org. “Twice As Nice” Synthetic Skating Rink at the Savannah Mall will be open from June 4 – Aug. 7 during the Summer of 2016. (SAVANNAH, GA) Savannah Mall announces that the summer synthetic Ice Skating Rink at the Savannah Mall will be open starting Saturday, June 4 at 12 p.m. Kick off will feature international professional skating stars skaters Joel Geleynse and Jennifer Don. The synthetic ice rink will be open until August 7. For more info (912) 927-7467 or www.SavannahMall.com. See international professional skating stars Joel Geleynse and Jennifer Don put the synthetic ice rink to the test with their graceful, high-energy performances. Joel Geleynse grew up on a farm south of Ottawa and started figure skating age 12. 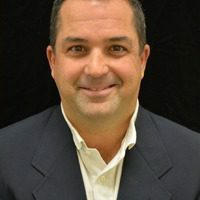 He competed as part the junior national team and in 1998 won a bronze medal at the Canadian men’s national championship. He later moved to southwestern Ontario to pursue pairs skating and has been based in Hamilton since 2006. Geleynse retired from competitive skating and performed with touring companies and cruise ships for a number of years before he started reality TV. He is currently in the Netherlands to shoot “Stars Dancing on Ice” or “Sterren Dansen op het Ijs” in Dutch. The show is an ice skating competition between professional figure skaters and reality TV stars. Jennifer Don is a Taiwanese American figure skater from Houston, Texas who started skating at the age of 10. Don competed in both the pairs and singles disciplines. She graduated from the University of California, Los Angeles (UCLA) in 2009, where she earned a bachelor’s degree in Global Studies. As a singles skater, Don was the 2001 U.S. national bronze medalist on the novice level and the 2002 U.S. silver medalist on the junior level. As a pair skater, Don won the bronze medal with Jonathon Hunt at the 2003 World Junior Championships. In 2005, she won the Chinese Taipei National Championships. The Ice Rink hours are Monday through Saturday from 10 a.m. to 8 p.m. and Sunday from 12 p.m. to 6 p.m. Ice skates are available to rent. Socks are required and available for sale. Sessions start every half hour. 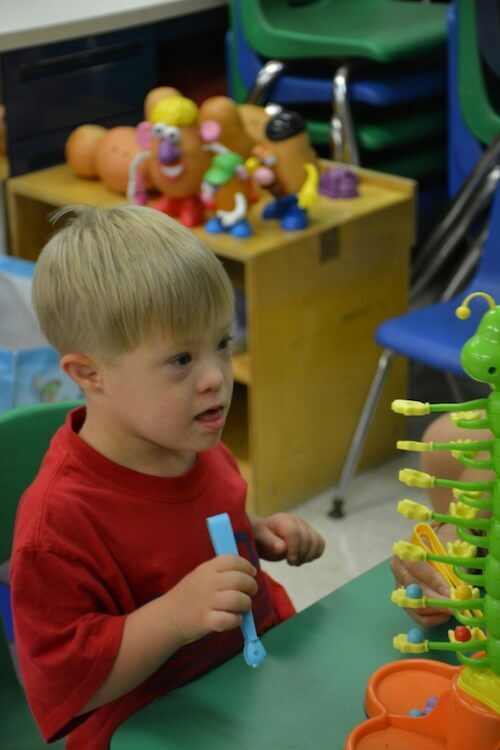 (EFFINGHAM CO. / CHATHAM CO.) The Lowcountry Down Syndrome Society (LDSS) is hosting their eighth annual Camp Buddy summer camp in Effingham and Chatham Counties. The goal of Camp Buddy is to promote retention of information by offering programs to prepare children for the upcoming school year. Special education, occupational, physical and speech therapists have designed a customized curriculum to help children retain information they learned during the previous school year. This year’s camp activities include music, dance, arts and crafts, as well as bike, trike and scooter board riding. After camp, each camper is sent home with an individualized therapy plan and a medal. “It is so amazing to watch our children grow and learn” said Molly Marchese, Camp Buddy Effingham Director. Registration for Camp Buddy is $400 per child for the entire week. This cost includes therapy sessions, entertainment, camp t-shirt and snacks. Camp Buddy Effingham will run from June 27- July 1, 2016. Camp Buddy Effingham is for children of all ages with Down syndrome. For children ages 3-6, Camp Buddy Effingham runs from 8:30 a.m. to 11:30 a.m. Monday through Friday. For children ages 7 and older, Camp Buddy Effingham runs from 11:30 a.m to 3 p.m. Monday through Friday. The first week will be: Monday, July 11, Wednesday, July 13, Friday, July 15. The second week will be: Monday, July 18, Wednesday, July 20, Friday, July 22. Camp Buddy Chatham is also for children of all ages with Down syndrome. For children ages three to five, Camp Buddy Chatham runs from 9 a.m. to 12 p.m. Monday, Wednesday, and Friday. For middle-school-aged children, Camp Buddy Chatham runs from 9 a.m to 12:30 p.m. Monday, Wednesday, and Friday. For elementary-school-aged children, Camp Buddy Chatham runs from 1 p.m. to 4 p.m. Monday, Wednesday, and Friday. Camp Buddy Chatham forms are due June 10.
at (912) 220-6429 or pbjhussey@gmail.com. 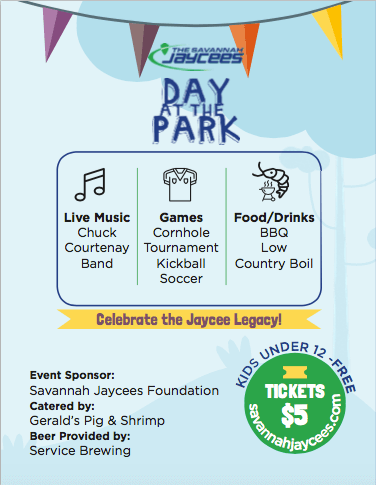 (SAVANNAH, GA) The Savannah Jaycees announce their inaugural Park Day Celebration, “Day at the Park,” will be held on Saturday, June 11 from 12 p.m. to 4 p.m. at the Jaycee Park, located at 30 Van Horne Ave. on Tybee Island. Sponsored by the Savannah Jaycees Foundation, this event is open to the public. Before the cookout and celebration, the Savannah Jaycees will be working with the City of Tybee from 8:30 a.m. to 11 a.m., helping to improve the Jaycee Park on Tybee Island. A team will be rebuilding the horseshoe pit, repairing the trash can receptacles, re-painting the Jaycee Park sign, planting flowers in various locations, and adding mulch to the playground. For more information on the service project and how to get involved, contact Mathews at (912) 253-5802 or community.savjaycees@gmail.com. (SAVANNAH, GA) Dawn’s Daughter has received its 501(c )(3) nonprofit organization status with Internal Revenue Service. This enables donations made to Dawn’s Daughter to be tax-deductible. The purpose of Dawn’s Daughter is to provide life-changing experiences that will inspire girls and young women to become successful in their personal and professional lives. Through these experiences young women will build self-esteem, character, and create a culture of collaboration between mentors, peers, and the broader community. For the past five years, Baker has awarded “The Dawning of a Miracle Scholarship” to a female Chatham County public or private school graduating senior who has or had a chronic/ life- threatening illness, or who has achieved in spite of adversity. This is an annual $1,000 scholarship. Baker has awarded $5,400 in scholarships since 2012. On May 15, 2016 Baker awarded the fifth annual “The Dawning of a Miracle Scholarship” to Chantel Cummings, who is graduating from Jenkins High School. Cummings plans to attend the University of Georgia in the fall. Every year, Dawn Daughter Baker sponsors “Movement in the Park Health and Wellness Fair,” which raises money for “he Dawning of a Miracle Scholarship fund.” “Movement in the Park” encourages families to lead healthy lives by finding some kind of activity they enjoy. This year’s expo included Zumba, yoga, crazy cardio workouts, health screenings and games for the kids. June 13-17, 2016, Baker will host the first Dawn’s Daughter’s Leadership Academy for 9th and 10th grade young ladies from public and private schools in Chatham, Liberty, and Bryan Counties. “It will be an intense week of workshops where participants will learn about team-building, leadership styles, conflict resolution, building self- esteem, goal setting and a whole lot more. I will work with the young ladies throughout the year – meeting on a quarterly basis with them,” explained Baker. Dawn Baker was an honor graduate of Savannah High School and earned her Bachelor’s Degree in Broadcast Journalism from Howard University in Washington, D.C. After working for a year in Wilmington, N.C. as a reporter, she returned to Savannah and joined the WTOC team as a reporter. She now co-anchors The News at 5:30 and The News at 11:00. She hosts a talk show, “Bounce Around Savannah,” which airs Mondays at 7:30pm on Bounce TV. Baker also anchors the 10pm news weeknights for Fox 54 in Augusta, GA. Dawn gives back to the community by hosting numerous fundraisers for nonprofit organizations as well as serving on several nonprofit boards, including the Islands Hospice Board. She is also the founder and executive director of Dawn’s Daughter. For more information on Dawn’s Daughter, visit http://www.dawnbakeronline.com. Dawn’s Daughter envisions a world where young women will have clear paths and opportunities for finding their voice and learning the skills necessary to achieve their goals. Young women will increasingly take leadership roles across the world, unintimidated and unafraid to make decisions, no matter where they are. We are developing the next generation of leaders. For more information visit: http://www.dawnbakeronline.com , or email us at contactus@dawnbakeronline.com or call 888-749-9133. A straight from the hip how-to book from Savannah, Georgia’s own Dawn Baker, WTOC News Anchor, on how to navigate life’s important moments for teen girls and young women. (SAVANNAH, GA) Coastal Center for Developmental Services (CCDS) is proud to announce that CCDS Executive Director Kathy Thomson and board member Daniel Massey were each recently honored by The Service Providers Association for Developmental Disabilities (SPADD) at their spring conference in Augusta. To learn more, to volunteer, or to donate, visit www.ccds-sav.org or call (912) 644-7500. (INC) Google Home, Amazon Echo, Alexa, and the Future of All Business. A new device is yet another sign that apps will give way to voice control. (SAVANNAH, GA) The Atlantic hurricane season runs June 1 through November 30. Don’t wait until a storm threatens. This is the ideal time for our residents to review their family contacts and develop a hurricane plan. For helpful tools and tips visit: www.ChathamEmergeny.org. (SAVANNAH,GA) The Georgia Small Business Development Center, a Public Service and Outreach unit of the University of Georgia will present a workshop “Starting a Business” on Thursday, May 26, 2016 from 9am to Noon at 111 East Liberty Street, Savannah, Georgia 31401. The workshop will cover the basics of what you need to know and do before starting a business. To register visit: http://www.georgiasbdc.org/southern-coastal/ , for further information contact: The University of Georgia SBDC at 912-651-3200. What motivated you to enter into this business? Chris: We saw the need in Savannah for a firm that is focused solely on new construction, and one that can carefully manage every aspect of a project, from pre-construction through completion. Andrew: We both recognized the growth in this market and we felt that by pooling our resources together we could provide a unique product. Chris: The Dewitt Tilton Group knows what it takes to manage successful building projects. We build innovative solutions for the most complex commercial construction challenges. Andrew Dewitt and I are the co-founders and Kim Thomas is director of operations. 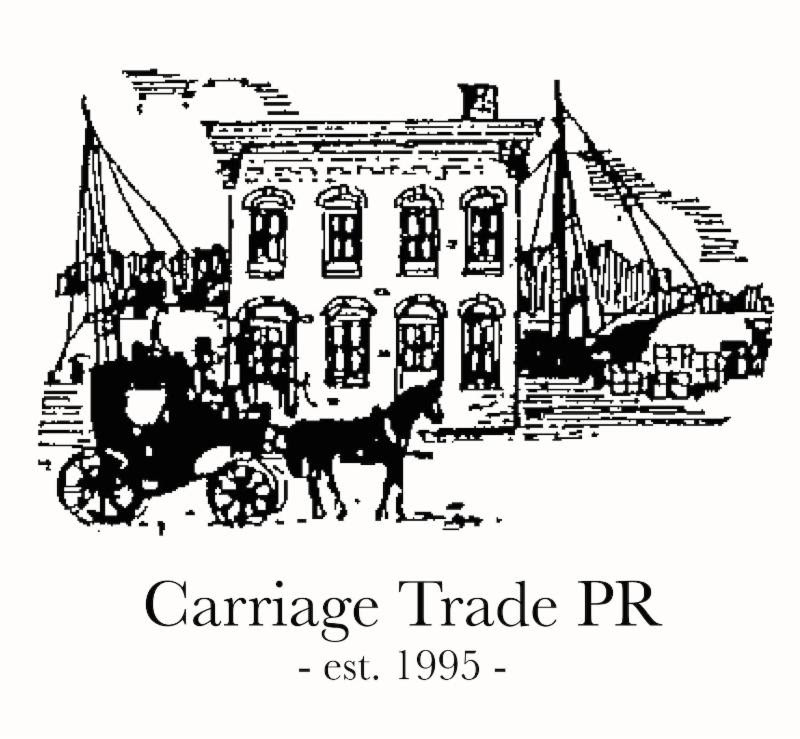 We serve the metro-Savannah market, including Chatham County, Richmond Hill and the South Carolina Lowcountry. Andrew: We can get done what others cannot. Why should a customer choose your business? Chris: We’re new, yet we’re old. Andrew and I each have 25 years in the construction business, plus we grew up in Savannah and have known each other since we attended Benedictine Military School together. We have worked independently and with each other, building homes, offices and subdivisions. Dewitt Tilton Group may be a new business but we have an old Savannah heart and soul. What are some of the hallmarks of your business? Chris: We’re doing things a little differently than what you might expect with a construction firm. We understand the importance of having a brand people can trust and respect and deliver a higher level of excellence in our service and staff capabilities as well as our construction sites and crews. What aspects of the business inspire your passion in this field? Chris: What inspires me the most is the completion of a building and having a grand opening for a client. There is great satisfaction in fulfilling somebody’s dreams. Andrew: I agree with Chris. There is great satisfaction in completing a project for a client. Chris: I graduated with honors from the Georgia Institute of Technology with a Bachelor of Science in the field of building construction. I have a Georgia General Contractor license (# GCQA004613), South Carolina General Contractor license (#107106) and am a Georgia Registered Real Estate Appraiser (#289261). Andrew: I completed college at the University of Georgia with a BBA degree in Real Estate. 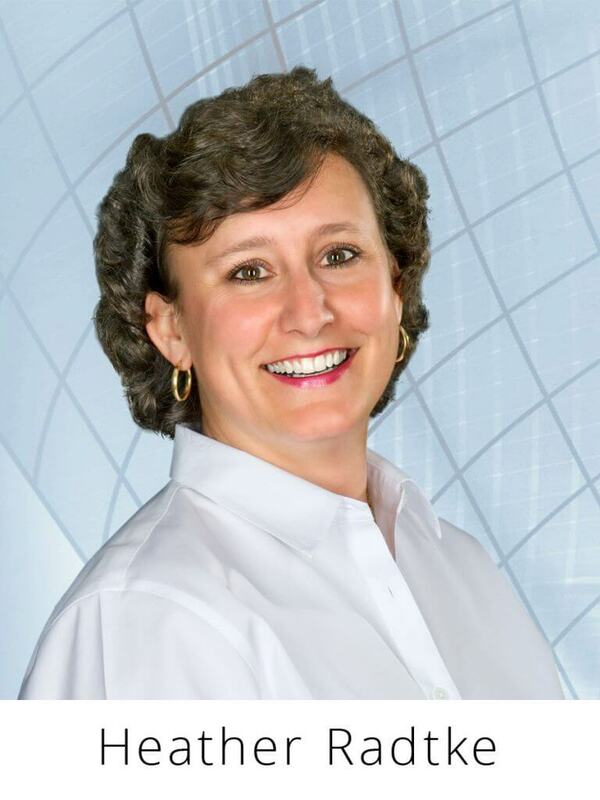 I am a licensed General Certified Real Estate Appraiser in both Georgia (#3546) and South Carolina (#5021). Briefly describe your career path before starting this business. Chris: I honed my skills with several large construction firms outside this area prior to returning to the Savannah market in 2005. I am also the founder of Tilton Commercial Group and JHT Construction. Andrew: I have been appraising commercial properties in this market for 25 years. I have developed subdivisions, condominium and townhouse communities, office parks and restored historic buildings. How do you see the company growing over the next five years? Chris: I’ll continue to be on the front lines, meeting with clients and being involved in every job. Andrew: It’s important to maintain personal relationships with each client, to guide them through the process, which can be an intimidating one. Many of our clients have never built a building before. What challenges have you encountered that strengthened your business skills? Chris: The 2008 recession taught me many lessons; mainly that speculative building is a thing of the past. But I knew if my grandparents could survive the Great Depression, then I could get through those years. It was a life changing experience. Andrew: There is no one specific encounter, but rather, a life full of lessons and the school of hard knocks that influenced my business acumen. What childhood experiences helped shape the person you became? Chris: My family, particularly my dad and grandfather, were great influences. When I was a child, we lived in the North Forest Beach area of Hilton Head Island, which was still a small, rural place. I could go into the grocery store and pick up something and my parents would settle the bill at the end of the week. My dad was one of only three builders on the island. His trim carpenter, Mr. Lariscy, would pick me up in the mornings and I’d help him all day. He’d even let me set nails. Andrew: My time at Benedictine Military School is probably my most influential experience. The friends I made there are my best friends today. It’s truly a fraternity. Who is/was your professional mentor? Chris: I went to work for Bill Grant in Atlanta in 2001. He is a smart builder who never got overextended in those heydays before the recession, and he helped me understand the professional side of the business. I still talk with him about once a month. Andrew: Stan Strickland (Savannah’s Candy Kitchen founder) has been a big influence in my life. We spent so much time together fishing that I would pick up bits and pieces of knowledge and occasionally get the subtle push to do more. My wife, Sara, has also played a big role in helping me achieve success over the last eleven years. Chris: I love to fish and attend my children’s sporting events. I have one son off at college but of the three at home, my daughter is in traveling cheer, and the boys play basketball and baseball. I enjoy reading and am a big history buff. My favorite author is Gore Vidal. Andrew: My family and I love the outdoors. My youngest son, Baylor, absolutely loves to hunt and my oldest, Andrew, loves to fish. We also have a small farm that we enjoy working. Is there anything that might surprise someone about you? Chris: No surprises here. I wear everything on my sleeve. Andrew: How much my family and I work on our farm. It’s a lot of hard work but we enjoy the outdoor time together. Chris: I am married to Christy, an engagement manager at Microsoft, where she has been employed for the past 21 years. My 18-year-old son, Peter, is enrolled at Texas A&M. John Clark is 13; Jessica is 11 and Christian is nine years old. Andrew: I have been married for eleven years to Sara DeWitt. Sara and I have worked together the entire time and my success would not be possible without her help. We have two boys. Andrew is seven and Baylor is six. (SAVANNAH, GA) Coastal Center for Developmental Services (CCDS) is proud to announce that CCDS Executive Director Kathy Thomson and board member Daniel Massey were each recently honored by The Service Providers Association for Developmental Disabilities (SPADD) at their spring conference in Augusta. Thomson was selected to receive the SPADD Trail Blazer Award which honors an organizational leader who has, through leadership, advocacy, program development or some other meaningful contribution, has made a meaningful impact on the lives of individuals with disabilities within their own community, or across the state. Thomson, who will be celebrating 40 years with CCDS this year, has not only advocated strongly for individuals at CCDS, but also across the state by serving on several committees and boards that determine state policy on service. Additionally, during her time as executive director, CCDS developed three new programs to meet its people’s needs, moved the agency onto a stronger technological path, and encouraged strong community partnerships for all facets of the agency. Massey received the inaugural SPADD Employer of the Year Award for hiring, supporting, and advocating for people with disabilities in his business. Currently, he is the Clerk of Superior Court for Chatham County, an office he has held since 2004. In his current role, Massey has made significant improvements in technology availability and data sharing in the court system, even moving to a paperless environment for one division. Massey has served on the CCDS Board of Directors since 2010 and has hired two individuals through the CCDS Community Employment program. Both Thomson and Massey were recognized at awards ceremony the last evening of the SPADD conference. Coastal Center for Developmental Services, Inc. is a private, non-profit 501©(3) agency that provides training and employment-related services to more than 400 individuals with developmental disabilities. With the goal of empowering our people to make life choices, CCDS is dedicated to the rights and responsibilities of full community citizenship. This is achieved through education, advocacy, services and supports, and driven by individual choice. To learn more, to volunteer, or to donate, visit www.ccds-sav.org or call (912) 644-7500. The Service Provider Association for Developmental Disabilities (SPADD) was founded in April 2002. SPADD members meet regularly to share information regarding issues that impact the services of individuals with developmental disabilities. SPADD works as an inclusive association of both public and private providers of any community based MR/DD service for the purpose of improving services to persons with developmental disabilities in Georgia. As a professional organization, SPADD is committed to its mission which includes Education of Providers on Best Practice, Advocacy and Education Regarding Public Policy. Savannah-based convenience store chain demonstrates commitment to helping end childhood obesity. 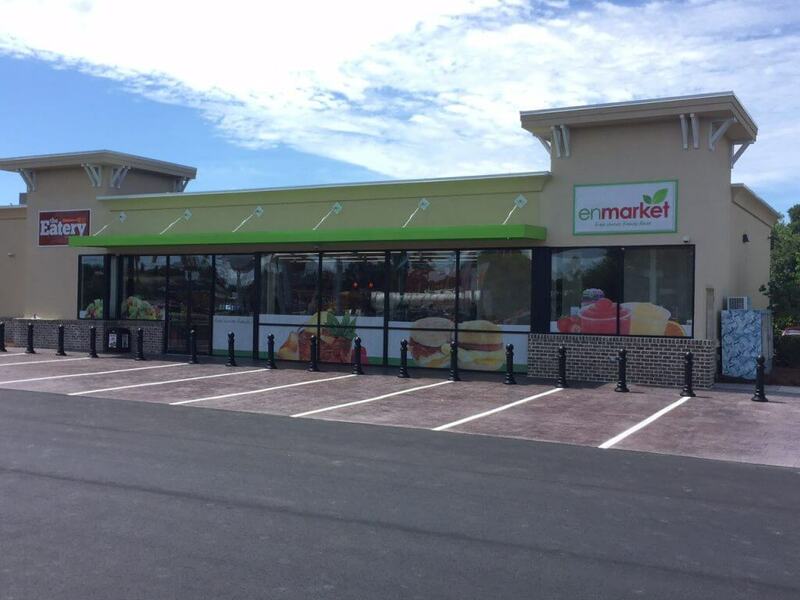 (SAVANNAH, GA) Enmarket (formerly Enmark Stations), has announced it has partnered with Partnership for a Healthier America (PHA) through its commitment to provide healthier choices to customers in the effort to help end childhood obesity. Enmarket is only the sixth convenience store chain in the country to support the nationwide nonpartisan, nonprofit organization led by some of the nation’s most respected health and childhood obesity prevention advocates. 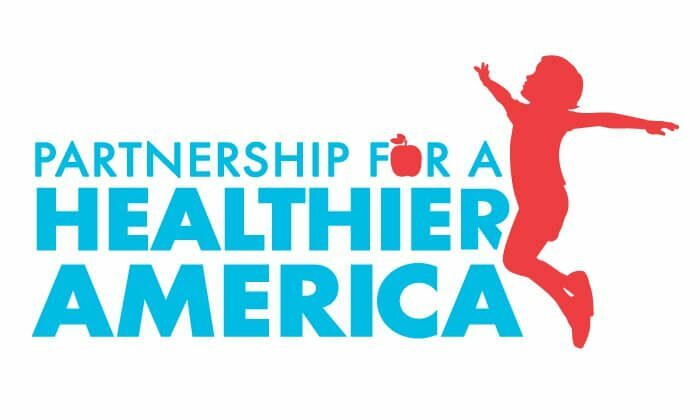 The announcement was made at the Building a Healthier Future Summit, PHA’s annual conference, which brings together leaders from across sectors to develop tangible, actionable solutions to help in the fight to end the childhood obesity crisis. The Savannah-based company, enmarket offers competitively priced healthier snacks and fresh food in addition to fuel, beverages, lottery services and more. PHA is devoted to working with the private sector to ensure the health of the nation’s youth by solving the childhood obesity crisis. Supported by honorary chair First Lady Michelle Obama, PHA brings together public, private and nonprofit leaders to broker meaningful commitments and develop strategies to end childhood obesity. Its board of directors includes nationally recognized business leaders, advocates, health professionals and thought leaders from a variety of backgrounds. Most importantly, PHA ensures that commitments made are commitments kept by working with unbiased, third parties to monitor and publicly report on the progress its partners, like enmarket, are making to show everyone what can be achieved by working together. The company has increased the availability of better-for-you snacks in its stores, with more organic, gluten free, and non-GMO options for customers. Fresh salads, sandwiches, and produce are delivered multiple times each week, so enmarket can offer the freshest possible products on its shelves. Many enmarket locations prepare fresh grab-and-go offerings daily on site. Their restaurant concept, called The Eatery, includes fresh made to order offerings such as sandwiches, salads, burritos, premium coffee, smoothies, and more. Also, in support of PHA’s signature initiatives, enmarket will integrate Drink Up branding into store promotions and incorporate FNV marketing collateral across its stores to encourage more customers to drink water more often and eat more fruits and vegetables. 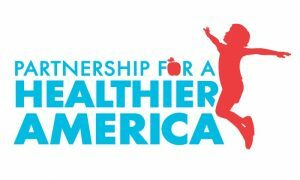 For more information on Partnership for a Healthier America, visit http://ahealthieramerica.org. For more information on enmarket, please call 912-236-1331 or visit www.enmarket.com. Founded as Interstate Stations in 1963 by Robert Demere, Enmark Stations, Inc., which recently rebranded as enmarket, is a family-run business committed to offering its customers top-notch service and superior products. Today, the Savannah-based company, which celebrated its 50-year anniversary in 2013, operates 61 stores in Georgia, South Carolina and North Carolina. Enmarket’s mission is to Enrich Life! Stores offer freshly prepared food and healthy snacks, high quality double filtered gasoline, beverages, lottery services and more. Enmarket customers can save up to $.10 per gallon by using the company’s Cash Card, a reloadable stored-value card that can be used directly at the pump. Coupons, promotions, and a location finder are available on the free mobile app. For more information on enmarket, please call 912-236-1331 or visit www.enmarket.com. Follow enmarket on Twitter at @enmarkenjoy.